After the shock of a second disaster in as many years wiping out small businesses all along both sides of Main Street, the question whether to rebuild at all is asked with new urgency. The answers to this fundamental question vary with distance from the disaster. Interestingly, the desire to rebuild right away is inverse to the distance. Those directly affected in their livelihood are much more likely to roll up the sleeves and rebuild than the armchair commenters on the Washington Post website such as pragmaticone: They’re going to rebuild the infrastructure? Why?! This is clearly a case where we need to accept that floods are becoming more frequent, and move residences and businesses out of the floodplain. Stop wasting taxpayer dollars rebuilding areas that are destined to be destroyed by climate change. bulldog501 is more drastic: Tear down the town and make a park. There are also opportunities for political digs such as the one from dcguy00: Maybe developers need to be dealing with stormwater management on site, rather than letting more water flow off of hard surfaces. I believe Hogan referred to this as a rain tax. A fairly wide stream bed meets this tiny culvert at Ellicott Mills Drive. Many shop-owners and restaurant operators, by contrast, express that giving up is not an option, even though their spirit is low after having been clobbered twice in such short order. “We own that building. Walking away from our structurally sound building is not an option.” (Angie Tersiguel, quoted in the WP). The draft plans considered several large scale solutions for retention and conveyance, the pair of terms everyone had to learn who was interested in neutralizing the the copious amounts of water from downpours, such as the most recent one. Those measures take years to design and construct, even if the $84 million dollars quoted for realizing some suggested measures were readily available. What should merchants and restaurateurs do during such a long unprotected period? How would their structures and buildings not fall into irreversible decay? Brennan said that even the weeks it took in 2016, before owners and tenants could begin reconstruction, cost significant extra money for "remediation" such as mold control. Water intensifies its damage when it is allowed to fester. Back then, reasonably enough, public safety, access and infrastructure concerns were addressed before private construction could begin. Can the urgent need for protective measures be addressed in months not years? Can obstructions be reduced, conveyances increased, and retention be created in a short enough time that rebuilt businesses will have the peace of mind that comes from protection that is completed concurrently? An assurance that the destructive force of water would be mitigated to such an extent that small individual fortifications of properties stand a chance to survive the next extreme rainfall would go a long way to motivate reconstruction. But the Executive has not provided any such assurance. He only said "you have tough choices to make". He will have to, as well, one may want to add. In October of 2016 road repairs and infrastructure recovery after the August flood was in full swing but main Street was still pretty much a ghost town. Businesses had been kept at bay for months. This time, with damage to public infrastructure less intensive, it is urgent to find a way in which public works repairs and private construction can operate side by side, even if that creates some logistical headaches and poses some risks. In spite of all the talk about supporting the town, Brennan says that business owners and residents received most of the money from insurance, the local Ellicott City Partnership and private donations after the 2016 flood. There wasn't a big County bond taken up nor was there extensive State money coming to private owners. No immediate large scale projects were considered. The SUN reports that FEMA paid out $4.9 million in flood insurance to 27 policy holders and that FEMA had provided another $7million in disaster assistance. This time County and State need to provide emergency funds large enough to do the heavy lift which is needed for resilient reconstruction on the private and the public side. To ensure that no more good money is lost as in the last reconstruction (at least on the private side), stipulations and requirements must be tacked to permits for resilient reconstruction. Flimsy historic wooden storefronts won't keep nature out. Posts and glass need to be reinforced without destroying the historic character. Howard County should provide the services of experts who can advise on resilient but attractive reconstruction, both, for private and public projects and public funds should cover the extra cost as an investment into the future. 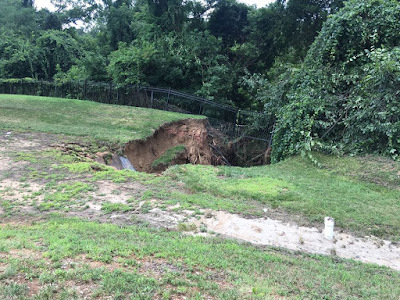 Howard County can't continue with sidewalks that get washed away and water undercutting the adjacent buildings. The County can't continue without an emergency preparedness plan in which agencies, businesses and visitors and residents know exactly what to do. It can't go on that residents, customers, visitors and merchants get caught in flood-waters relying on dangerous rescue. It can't go on that cars remain in the danger zone in spite of an official flash flood warning and then get washed away so that 198 wrecks clog up the precious drainage capabilities. In the hollers of Southwest Virginia police finds the resources to drive into the valleys and warn residents via loudspeaker to seek higher ground when there is an imminent meteorological menace as they did just about the same time this recent storm hit Ellicott City. (The meteorological area of instability was that large!). In Baltimore's Mt Washington the customers of Whole Foods and surrounding businesses evacuate every time the Jones Falls threatens to crest and the business owners close the flood gates of the protective walls around their property, a procedure that has worked well for years. The major pinch-points that were highlighted in the plans of the watershed consultant team, need to be removed with the highest priority. Culvert enlargements under streets and buildings are complicated. Brennan said a redesign for the most egregious pinch at Ellicott Mills Drive had already been done and construction was supposed to have begun later this year. Maybe now the pathway can be realigned. The flood itself showed how the water wants to go. The point where a reasonably large stream bed running alongside upper Main Street turns into a tiny culvert just west of Ellicott Mills Drive was the site of major damage in both recent floods. 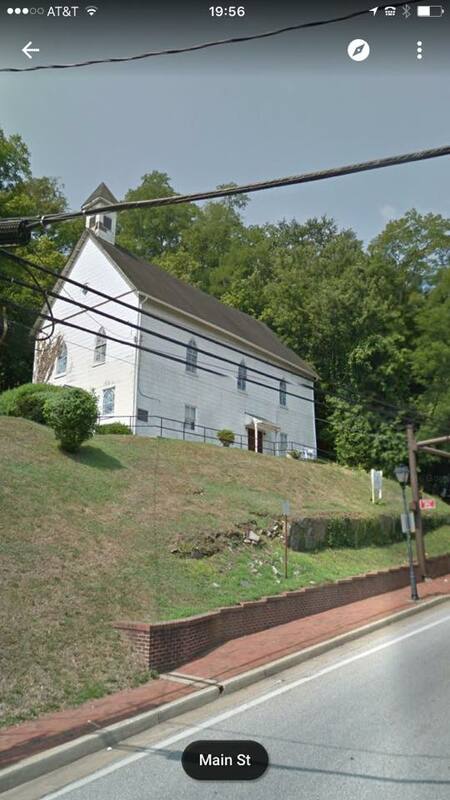 The first time, water jumping up to Main Street, took out an entire hillside undercutting the St Luke African Methodist Episcopal Church. 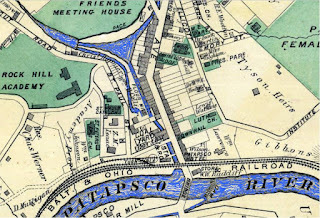 This time nature simply blew out all of the obstructing Ellicott Mills Drive roadbed and the first courthouse and jail building right with it. As far as one can surmise from the evidence, the water breaking through Ellicott Mills Drive then expanded into lot F, one of the areas suggested as a water retention area. Would there be a way to make the lot a retention facility without millions of dollars for an underground storage tank with a park and structured garage on top or without losing it as a parking lot during normal times? Could the existing lot become a designated retention basin by surrounding it with a wall that has a designated overflow and could maybe hold the initial 5-6' feet of water on its about 1.2 acre size? (In the current configuration the lots flood to about 2'-0"). Flood gates woulds allow for driving and walking in and out and be closed when water starts flowing in. Flash flood warnings would trigger an evacuation of the lot similar to what happens at the Whole Foods in Mt Washington. 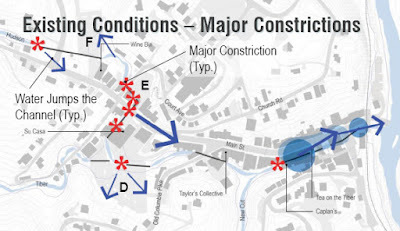 Additional water then would have to be be safely conveyed through the second set of culverts under Main Street, located west of the brew pub and under Palapia, to get to lot D south of Main Street. (A bypass is one of the proposed conveyance strategies of the draft plan). That parking lot behind the post office could become another even larger retention area. Again, instead of the long-term strategy of replacing surface parking with structures and building huge underground storage, the idea would be a short-term surface solution with a wall around the lot to hold water in an emergency. Not the prettiest thing, but also not really in conflict with the historic district itself and probably not more unsightly than a sea of parked cars is in the first place. 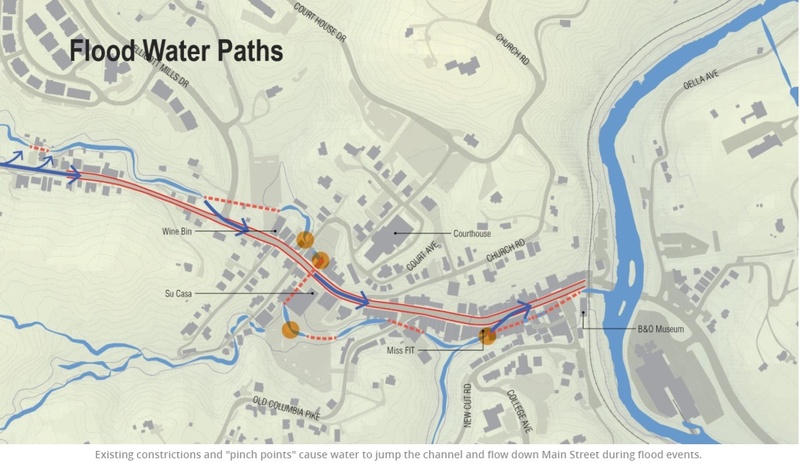 Lastly, since its seems impossible to hold or convey enough water in those initial steps, it should be investigated whether Main Street itself could become a safe conduit. (This is not included in any of the options in the draft plan). 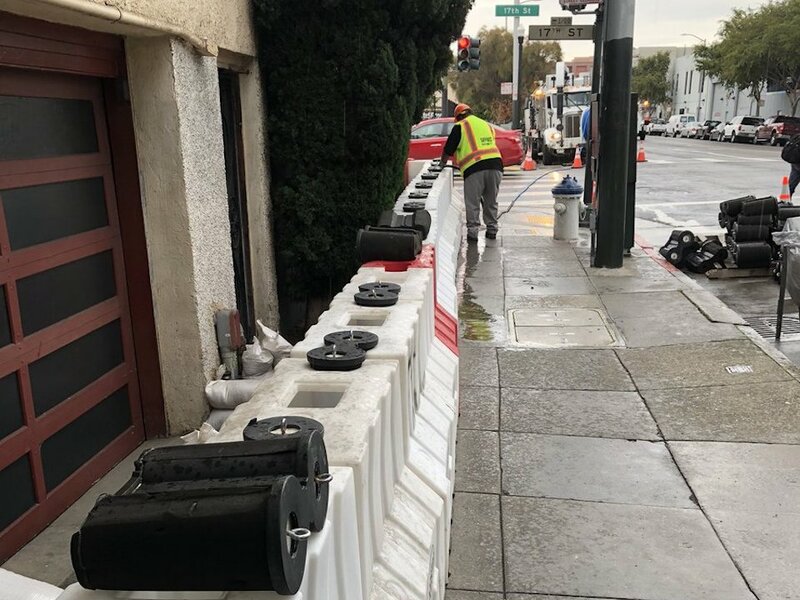 Removable flood barriers erected on both sidewalks could protect the stores from the impact of rushing water and debris. 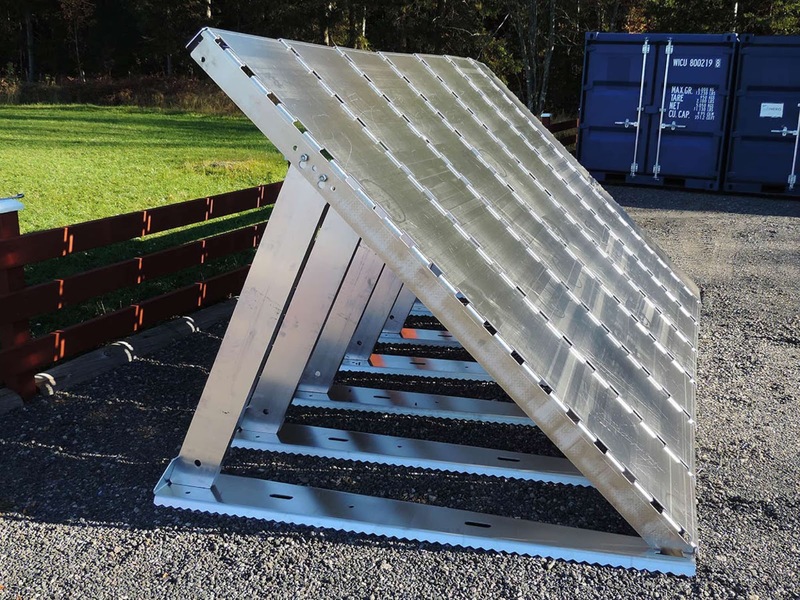 There exist various modular solutions that have been tested elsewhere. Those relatively light- weight Jersey barrier type, interlocking elements have been made for quick installation after a flood warning and have been successfully installed, for example in low lying areas of San Francisco's Mission District. Looking at photos of those barriers and then the videos of the rushing walls of water racing down Main Street would elicit obvious doubt if those walls would hold. They would probably only work if the volume of water has been reduced enough through significant retention measures. Maybe then the water in the street would not be higher than the barriers as the hydraulic modeling of the updated hydraulic study suggests. Obviously, the 100 years between 6" floods are not available. The "logic" that a second or third event of such extraordinary might is less likely because one event just happened is faulty, even within the traditional definitions of the 100 year event model which calculates precipitation over 24 hours, not 2 or 3 hours. Statistics don't work that way, the odds are always the same, whether one subscribes to the 100 year flood model or not. Whether the risk is one in a 100, one in 500 or one in 10 doesn't matter, the risk remains the same every day, no matter that two floods just occurred. The principally laudable approach of comprehensive masterplan effort in which resiliency doubles up as good urban design and urban programming and which is discussed in many public meetings needs to be re-thought in favor of a much more direct approach with a strict timeline. Nothing, though, can be done without money. Instead of dribbling little funds into half baked measures, Ellicott City has become a case of all or nothing that should be of regional interest. Big or not at all was also the choice for Ron Young, Mayor of Frederick in the 1990s, when he decided that a large underground water conduit of four 20x20' culverts all around downtown was the only way to really save Frederick from re-occurring debilitating floods such as the one of 1976. 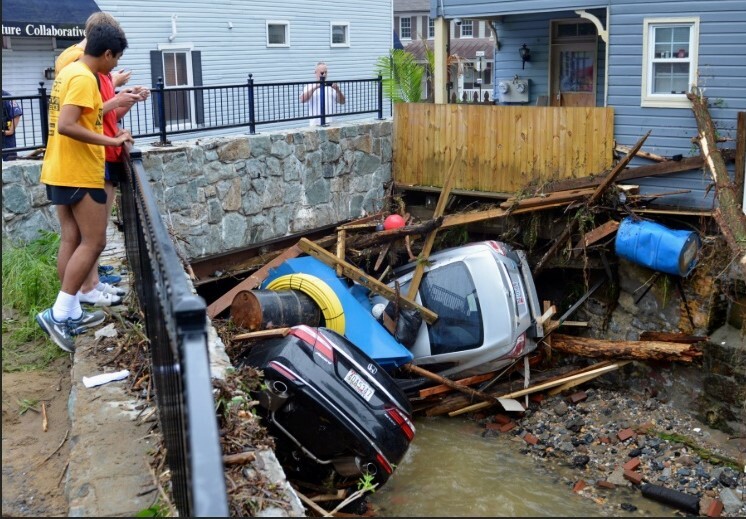 The City not only constructed the entire Carroll Creek flood mitigation system but got its money back through a booming downtown that exceeded even the most daring dreams Ron Young and his team ever had. Just two weeks before Ellicott City flooded again, Frederick received 6" of rain in two hours. It withstood this calamity with only minor flooding in the streets. Certainly, conditions in Ellicott City are not comparable, but here half measures will do even less. Creative out of the box solutions are needed, at least for the immediate protection needs. If none of those quicker solution work, or if there is no money for them, rebuilding just makes no sense. The wettest April and May in decades (US East Coast) sheds a bright light on the mundane science of stormwater management. And with it comes the question if habitation can be maintained in all those locations that were historically settled. As hard as it is, without a huge and costly lift, the answer may well be: No. Corrected misspellings of Angie Tersiguel's and Jereme Scott's name in the initial version. My apologies! When history repeats itself 20/20 hindsight must become foresight. 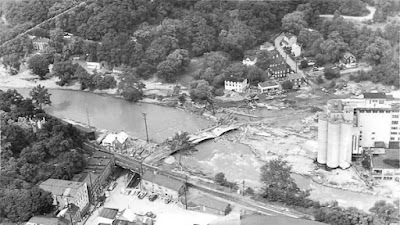 After the same scenario played out in Ellicott City not even two years after the first, a stalled front pouring copious amounts of water onto the watersheds of the Hudson and the Tiber, the images became frighteningly similar, in spite of several smaller scale corrective repair measures which had fortified existing water channels with the help of a NRCS grant for streamwalls. 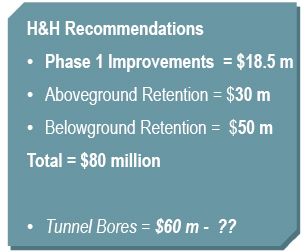 As for addressing flooding in a bigger way: As of this month the first batch of retention facilities was in early design but not even phase 1 was funded for construction with FY 2018 money. It would take about about three years to construct the facilites. Not even the too narrow culverts crossing Main Street ("pinchpoints") had been replaced. 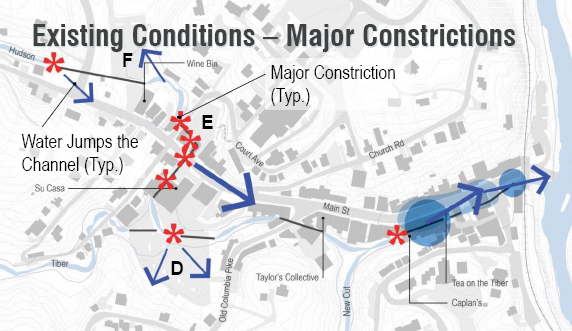 An Ellicott City Watershed Master Plan Open House scheduled to take place three days before the latest flood was postponed "to better address community concerns, further craft technical aspects of proposals, and fine tune plans for implementation." Most efforts focused on getting businesses back up and running and supporting the rebuild with a marketing analysis, pedestrian improvements and urban design. The SUN reported that Local officials recently said that 96 percent of the businesses were back in operation and more than 20 new businesses had again opened in the Main Street area. One of the businesses which had not returned was a jewelry store which had lost everything in the 2016 flood. It had disposed the items retrieved from a floating vault in a fire-sale and turned the historic Main Street its back for good. The store remained boarded. Not so the rebuilt Caplan Store, even though its business hadn't returned either and the owner had carefully restored the historic storefront and then converted the former department store into a fitness gym for women. Once again a 500 year precipitation didn't wait for its turn. 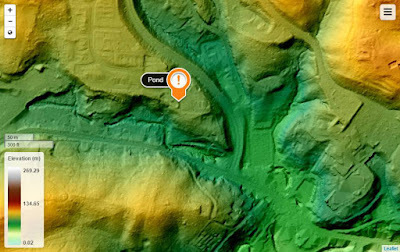 Before 2011, it had been nearly 60 years since runoff from the Tiber stream produced a flash flood. But in the past seven years, destructive flash floods have hit three times: Tropical Storm Lee in 2011 the summer thunderstorm of 2015 and now the spring flood of 2018. 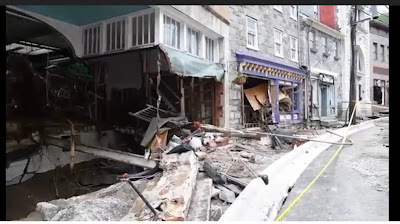 The jeweler probably counts his blessings.The Caplan storefront was ripped out again thanks to its location in a curve where the water and debris rush straight into it and even crashed the entire floor. The storefront posts or the glass had not been fortified in the reconstruction, even though steel reinforced posts and bulletproof glass could still have yielded a historically correct appearance. Of approximately 526 acres of neighborhoods that were assessed by field crews of the watershed study of the Patapsco Heritage Greenway group in 2013, sixty percent (310 acres) of area had no apparent stormwater treatment. Twenty percent (~100 acres) of that had an impervious cover, letting stormwater run off in full and uncontrolled. 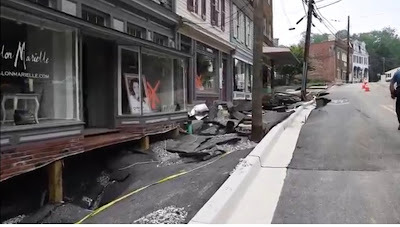 The tragic events are, in fact so similar, that copying in an article I wrote in 2016 after the big flood that left old Ellicott City destroyed is still news. Even the County Executive is still the same, it doesn't even look as if this time around he will change his "we must rebuild" tune. [Residents and merchants] "are faced with the same daunting task again." The "there is nothing we can do" argument by necessity ultimately results in the abandonment of the historic town in favor of the unfettered and entirely unremarkable development upstream. Certainly, retreat is one of three options in building resiliency. The traditionally preferred option, fortification, doesn't appear to be very practical in the case of the historic town. Whatever dams, floodgates and elevated structures fortification would require, those measures would almost all run headlong into the core of what makes the town valuable in the first place, historic preservation. The incremental differences may be in the 5% range for each measure individually. Cumulatively, those improvements may take the wrath out of a 5" per hour rain. Yes, there would still be flooding but incremental differences could be the all deciding differentiator between a catastrophic flood or just a flood. While old Ellicott City rebuilds, preparation for the next mega rain has to occur now. However, the masterplan process soon began lacking urgency and it is not clear if even its full execution could have avoided Sunday's flood. Back in 2016 my writing landed me at some meetings of the flood working group. A pretty amazing body of knowledge was soon readily in hand (several key findings are repeated here). Then a msterplan was started. 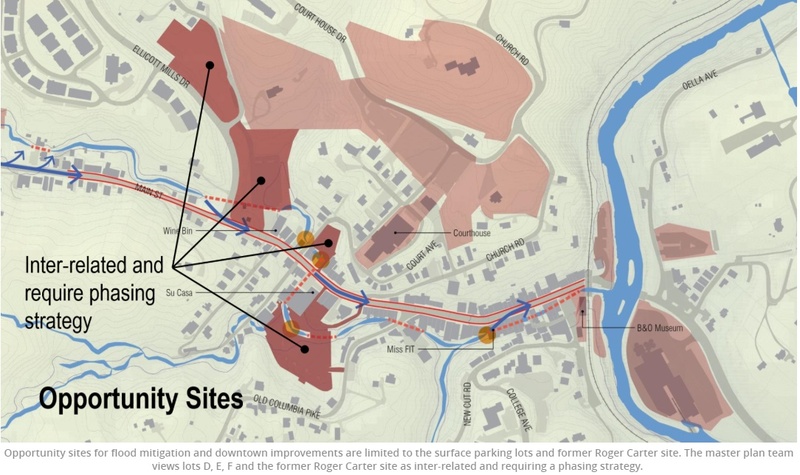 In December of 2017 the County conducted a public meeting about the Ellicott City watershed masterplan which was at the time described to be at the half-point. The purpose was to have "conversations" on "emerging recommendations", language that suggests a lack of urgency. It was especially obvious when the presenter from the Department of Public Works addressed the urgent questions of the attending residents and business owners about water retention and pinch point repair evasively or not at all. The lead consultant for the plan is the Baltimore landscape architecture and planning firm Mahan Rykiel. 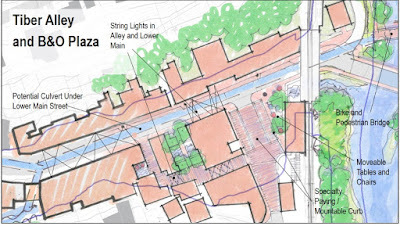 A lot of nice ideas about place-making and 'day-lighting" of streams were created. 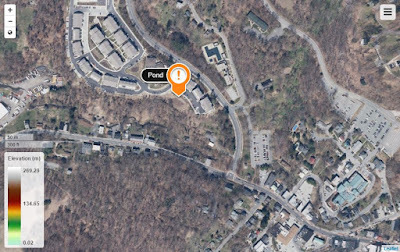 Two weeks ago, the Governor announced that the Federal Emergency Management Agency (FEMA) had awarded the state and county more than $1 million to pay for flood prevention projects for Ellicott City. “This is another important step in the rebirth of downtown Ellicott City,” Governor Hogan said in a statement. “We will continue to work with our federal, state and local partners to help Howard County recover and thrive.” The Governor won his election in part by demeaning stormwater management fees enable by his predecessor as a "rain tax". The measures proposed in the masterplan would need much, much more FEMA money than this grant, and even more time. Time that wasn't allowed as it turned out very shortly thereafter. Changes to surface parking lots (the opportunity sites) will be needed to improve water movement from Lots F to D (and to potentially add a daylit stream, associated greenspace, and pedestrian-oriented "riverwalk"). Before parking spaces are removed in surface parking lots, parking spaces should be added elsewhere. To catch the water volume that makes the difference between a 10 year and a 100 year flood event in the Hudson Branch watershed alone would require water storage akin to 33 football fields 6' deep. To convey all the water it would take a 12' wide and 8' high storm culvert (which the City of Frederick could build but for which Ellicott City has no space. If the entire watershed were wooded the water arriving at Main Street would be cut almost in half. If all 23 stormwater ponds in the watershed were not there it would make only an 18% difference for the 10 year storm and 10% in a 100 year storm. How much is a 100 year storm? In Maryland's Piedmont around 7" of rain in 24 hours. 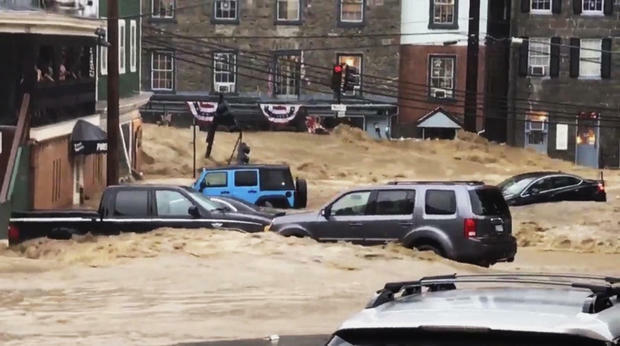 The storm that hit Ellicott City in 2016 brought just under 6" in only two hours. The tropical storm Lee in 2013 dropped 4.89" in two hours. The May storm of 2018 dumped more than 8" of rain in five hours. Ellicott City provides a sad but illustrative tableau of the way how most of humanity deals with the threat of changing weather events. Changing climate outruns the sluggish pace in which most societies enact change and continue to put a normal business agenda ahead of the actual menace. It will be interesting to see what will happen to the masterplanning process now after this second and even more brutal reminder that time is of the essence. If there will be another public meeting, one can be sure the agenda will be dictated by upset residents and business owners who had been lulled into a false sense of safety and progress. How to avoid flash floods? This latest article: Does it makes sense to rebuild Ellicott City? I always was in awe when I walked along the banks of the Patapsco River and the remnants of the little mill town Daniels came into view that the river wiped out in the wake of tropical storm Agnes (luckily it had already been condemned and was vacated). Agnes turned River Road into a trail and was never opened to traffic anymore, here and there lurked a rusting auto wreck in the brush. Before the Grist Mill trail was constructed a few years back, one could also spot an axle from a rail-car that had once toppled off the rails high above the river; the raging river had washed out the track-bed. 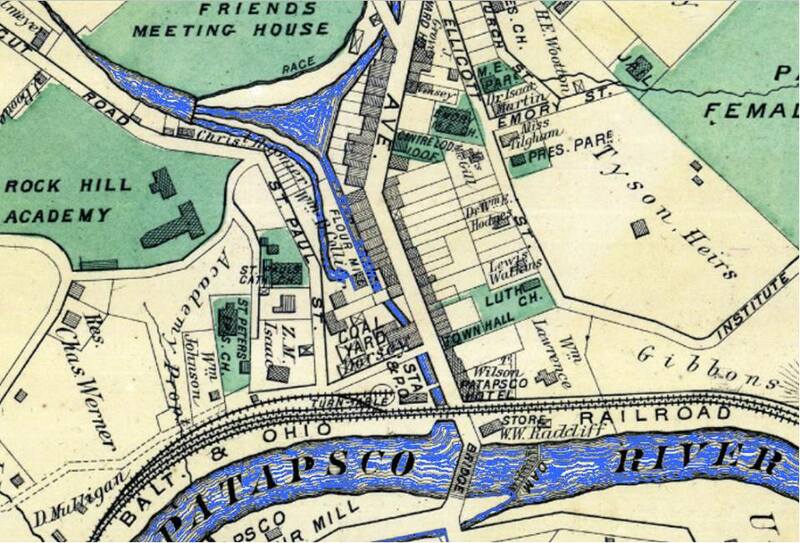 The Patapsco rose high enough to reach Caplan's department store in Ellicott City and destroy the bridge into town. Such was the power of the river. This time was different: the danger for Ellicott City came not from the river below but from the hills above. The AME church on Main Street located west and above the old fire house is way above and far away from any water that ever came from the Patapsco. Still, the church lost its entire embankment on Saturday night. Each of the tributaries that feed into the little Tiber stream that runs parallel to Main Street had already become a raging torrent before reaching the Tiber. That totally overwhelmed its riverbed which is partly covered up by buildings. So the Tiber began running down Main Street instead, turning the picturesque historic street into a mountain river which carried mud, logs and cars into storefronts and finally inevitably into the raging Patapsco. What caused this and what should be done to avoid it in the future? a stalling weather-front that carried copious amounts of moisture and let out more water in one hour than any previous rain event in the area. That may or may not have to do with climate change; at any rate, it is suspicious that two storms that, according to past statistics, would be 100-year storms happened within a few years. The other contributing factor is development. Denuding, shelving and paving over the steep slopes around Ellicott City is an ongoing development pattern fueled by the incredible growth that the fastest growing jurisdiction in Maryland is experiencing. Even the most progressive stormwater management techniques don't deal with 5" of rain in one hour and will overflow, doing nothing to protect the valleys below. Although a forested slope would release some of an extreme downpour as well, it wouldn't be nearly as much. Marsha McLaughlin, the former Howard County Planning Director suggested that Ellicott City shouldn't be rebuilt as it was. Rebuilding was precisely, what the County Exec Kittelmann had vowed in the first hours after the destruction. Not rebuilding right into the danger zone is normally wise. 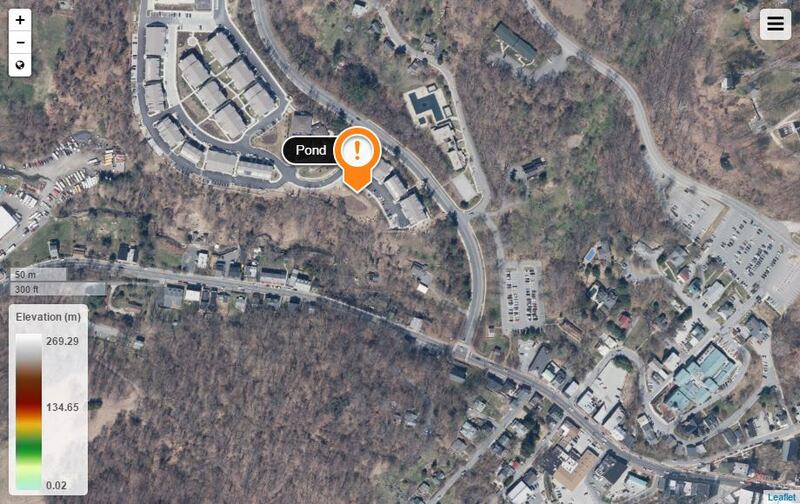 However, in this case, this would mean abandoning all of historic Ellicott City. This flood endangered almost the entire town. The matter had been on the radar for some time. Early 2015 County Exec Kittelman convened a Historic Ellicott City Flood Work Group which published a report in November of last year. Its final words show that while accurate, the efforts need to be ramped up far beyond what was included as short and mid-term action. Likely the best solution for protecting old Ellicott City from future floods resides above the town, near the top of the valleys leading into the town center, in many decentralized places that either prevent or catch run-off long before it gets destructive. A sustainable effective solution is less likely to be one or two heroic structures in the low areas such as under the town's parking lots D or F as suggested in the report. Facilities need to be constructed that are large enough to hold those massive rain bursts long enough to avoid destruction and overflows. Since so much of the area is developed, those structures would probably have to be underground. These measures are not rocket science and have been used and refined around the world, either as surface measures such as dams, retention ponds or water parks (Rotterdam) or as underground measures in cavernous underground storage tanks or large diameter pipes. There appears to be little that can be done along Main Street itself except for protection against water backing up from the Patapsco. Linwen Way can hardly be more suburban. Green lawns, station wagons, SUVs and pick-up trucks parked in the driveways in front of double wide garages attached to two story homes; beige vinyl siding on the second floor, brick on the first level, a small porch roof over the front door. Dream homes of the 70s and 80s. The wildest thing here is the ruckus of car with a customized muffler. There are sidewalks but the street is so short, hardly 500 feet long, ending in a turn-around, that any stranger immediately catches the eye. The cul de sac as urban design is still popular among parents because kids can play in the street, there is no through traffic and cars are slow. Linwen Way is part of a maze of residential subdivisons that make up what is known as Perry Hall, an area that Baltimore County designated as one of two growth areas. Its "town center" is nearby White Marsh. Belair Rd, the old Route One connection to Philadelphia is near, some days, if the wind comes from the southeast, one can hear the traffic on I-95. Gilmor Homes in West Baltimore is the quintessential public housing complex, featured in the British Guardian as the home of Freddie Gray. Gilmor homes is frequently the subject of Sun articles when residents complain about the living conditions, or when the mayor suggests demolition in order to reduce crime. "People complained about not being safe, the line of of sight is terrible" she said earlier this year on a site visit. The Gilmor housing complex was never a place of dreams, even though it also has courts in which kids play and cars park, all of Gilmor has become a dead end, even if one can drive out on the other end of the courts. For an urban kid, used to the grid of the city, the curvy suburban streets can be disorienting and so it came that Dawnta Harris of Gilmor Homes didn't manage to elude the county cruiser showing up behind him. Caught in the dead end, all he could do was turn his Jeep around only to face Amy Caprio in full uniform, having stepped out of her car, weapon drawn. In Perry Hall the police is a friend. People call the cops when they see something that looks suspicious and the cops actually come. So here was Amy in quiet Linwen Way, responding to the call of a resident facing a young man from a world apart. In Gilmor Homes, older people who suffer under the illegal activities in their court would love it if they could trust the police or if the cops would show up as quickly as in the County. But the trust has long been broken and for the young men there the police is just the enemy. The encounter of those two worlds ended violently and deadly when Dawnta followed his instincts, one would have to surmise, ducked and gunned the accelerator. "In cold blood killing an officer" most would say, "fearful and not seeing what he was doing", his attorney would later say when Dawnta was caught and arraigned. County cops are not only well respected in the community, they are also efficient. They usually catch their criminals, even if in this case they resorted to the same tactics as their city colleagues, putting an entire block on lock-down. County police chief Sheridan, 74, is in his second run in the post, his term lasted 11 years, before he became State Police superintendent. County Executive Kamenetz brought him back last year and shocked council members nad the public with this surprise move. To call Sheridan "old school" would be an understatement, but to most in the County this is a compliment. Perry Hall and Gilmor homes are two very different solutions to the Baltimore area postwar housing crunch. Gilmore is one of those unsuccessful insertions of run-of-the-mill low rise blocks into the historic fabric of West Baltimore, an intervention which was then called "slum and blight" removal. Perry Hall is a response to slum a and blight as well, its name is move as far as possible from the city. 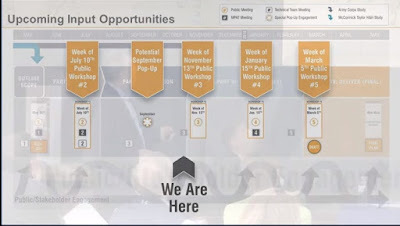 Among planners places like it and Honeygo have a bad name, for their uniformity, their income and race segregation, their total car dependency and lack of a center. But the people who live there like it, except maybe for their teenage kids who complain that there is nothing to do. Their generation is now fueling the cohort which is returning to cities for the food halls, brew pubs and coffee shops. In Linwen Way the suburban idyll was shattered with a young white and female officer lying dying in the street and a young black and male perpetrator being caught very soon thereafter. Police says that the young driver was waiting for three friends who were burglarizing a home, reportedly in search of guns. The Jeep apparently stolen, the young man eluding home detention. The narrative of the dead hero and the criminal monster was too obvious to not be taken up immediately in all its variations. The tragedy, though, is not only the senseless death of a young promising woman, but also the hopeless life of a 16 year old who is all too representative for the dead end many of his brothers find themselves. There couldn't be a plot that would unleash the latent and open racial tensions in Baltimore any more than the tragedy that had unfolded in Perry Hall. City and County were both already reeling from leadership loss, the City through self inflicted negligence in the police department, the County through the death of its Executive. Both had never come to terms with the unrest that followed Freddie Gray's death, many in the County believing they didn't have to, it wasn't their problem. The late Kevin Kamenetz knew better than that and, especially in his campaign for Governor, emphasized that the County needed a strong city at its core. But many of his constituents see the matter in much simpler terms and are now flooding social media outlets with their view of the world, a view that, no doubt, shaped Baltimore City and County in the first place. On the surface simply fleeing the noise, crime and dirt of the city for the peace of the County, underneath, though and elaborate system of redlining, restrictive covenants and race discrimination. Long has the County ceased to be the homogeneous retreat it once was; the inner ring suburbs are now suffering from bad schools, lower property values, crime and disinvestment just like city neighborhoods did before. Further out in Perry Hall things seemed to be better, but the frontiers have moved even further, into Harford and Cecil Counties or all the way to Delaware. But Harford County has its Edgewood, and crime has also hit home in Bel Air. Turns out, distance from the City is no solution, crime is always already there. And so we have now on full display not only the battles between races and people like County Delegate McDonough who pour oil into the fire with talk about city thugs but also quarrels between the department of Juvenile Justice, the State's Attorney and the various candidates vying for office. Lost seems to be the question if anyone could have offered better choices to Dawnta Harris. Gilmor Homes and Linwen Way, so far apart, so different and yet, both are failed responses when it comes to building sustainable and livable communities. As inviting as this particular tragedy is for airing all the usual grievances and animosities, the path forward needs to break new ground and entail bridges not walls. 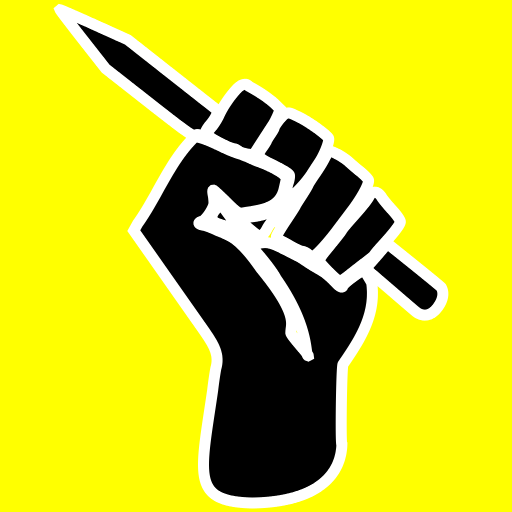 No society can sustain itself, if it is as deeply divided as ours. Just when one thought there is there could be no other list possible, the BBJ issues another ranking of another aspect of the Baltimore area. The latest print edition included lists of casinos and attractions. In spite of some questions about the validity of the data (the lists are based on surveys and heavily depend on what respondents offer) the lists offer many interesting insights. Who would guess that the top four attractions ranked by attendance are all entertainment venues, three of them owned by the same entity? Who would have thought that attendance at the good old Arena outperforms with 800,000 visitors the Ravens stadium (723,800) and Fort McHenry National Park (750,000)? Or who would have guessed that the once nearly dead Baltimore Zoo has twice as many visitors than the Baltimore Museum of Art? Or that the much maligned Pimlico Race course with 190,576 outperforms the venerable Walter’s Art Museum? Or that the Symphony and the Hippodrome have about the same attendance (slightly under 300,000), each twice what the Walters can muster? That slightly more people go to the Lyric Opera than to Pimlico? Live Casino at Arundel Mills tops all area attractions with 10 million guests in 2017 but by revenue is outperformed by three other casinos within a three hour drive from Baltimore (in New Jersey and PA and PG County) in spite of the fact that Maryland Live nets almost half a billion dollar. Provided one believes the self-reported numbers of the Cordish Company, it is sad to realize that a casino draws more people annually than even the Lincoln Memorial (7.9 million) or the Air and Space Museum (7.5. million) in our nation's capital. There are lessons to be learned from comparing attractions and visitor rates. For example, Baltimore as the home of America's first passenger rail, manages to draw only 228,500 people to the B&O museum while Pittsburgh's Duqesne Incline historic cable car draws 624,000 riders per year. 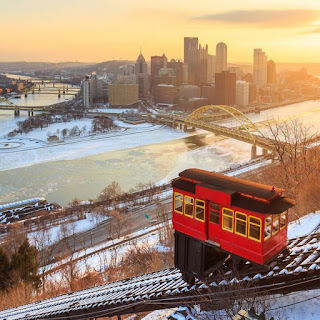 Of course, the cable car is a functional connection as part of Pittsburgh's transit system. But that is precisely the point. Why can't Baltimore, for example, make its historic streetcars part of at least one useful connection? Or make a historic B&O train once again go all the way to Ellicott City on weekends? 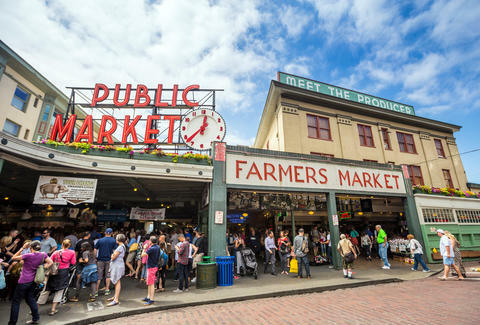 The best urban attractions are those which serve visitors and residents alike! 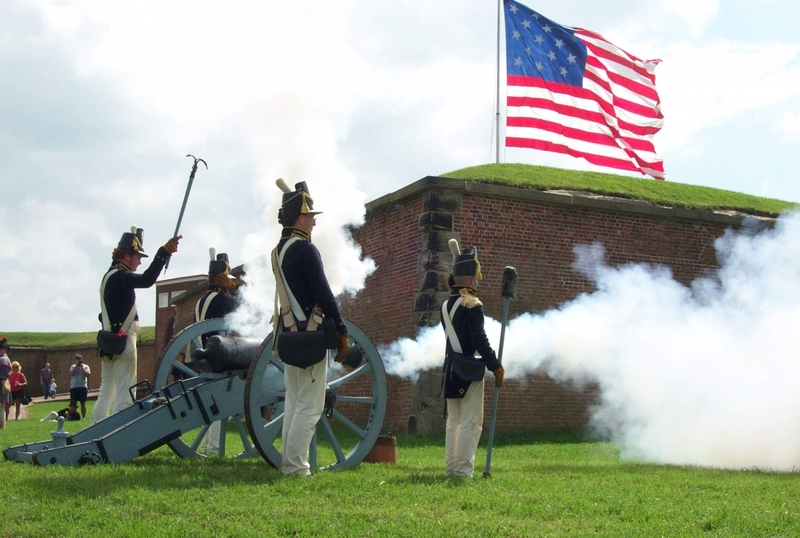 Fort McHenry draws 3/4 of a million people annually, not shabby, but couldn't we do better? 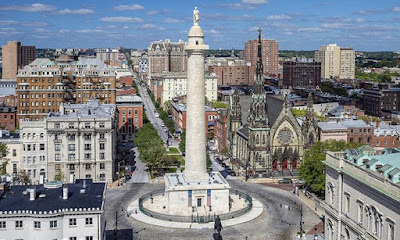 Over 1.15 million people trek all the way out to Gettysburg by comparison, a town which has much less else to offer than Baltimore and is much harder to get to. 4.3 million visitors see Independence Hall in Philadelphia, couldn't that be a number to aim for? Couldn't a compact be forged between the millions of visitors to Washington's Mall and the our Fort, where the National Anthem found its origin? Via a National Pride visitor pass, for example, which could connect the Lincoln Memorial and the Fort and all transportation in between, including a MARC train that uses historic B&O coaches, shuttles from Penn Station via a modified Purple /Banner Circulator right to the doorsteps of Fort McHenry. Or via Baltimore's fabulous water taxi that waits right a the terminal stop when the Purple Circulator ferries a trainload of people to the Harbor? The pass could include as an option a stay in one of those many new boutique hotels around Mount Vernon. The country's oldest Washington monument isn't even on the list of 50 attractions at all. The BBJ list also tells us that Light City now outperforms Artscape. However, will Light City be able to pull out 470,000 people next year after many observed this year that attractions were small and far apart? 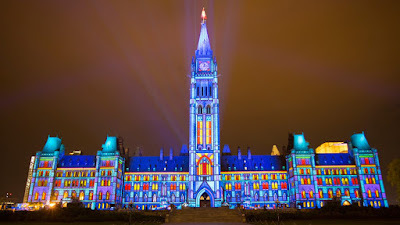 Why can't Baltimore pull off one big corporate funded state of the art building projection that tells Baltimore's story in a similar way as Canada celebrated its anniversary last year with a multimedia projection onto its Ottowa parliament building? Baltimore's world trade center could provide an impressive projection surface that would be visible from all sides? Finally, there is the Lexington Market. It is listed as #5 on the list with 3 million visitors which. Of course, this includes many local shoppers going there every day. Yet, this number is impressive and should tell us not to mess too much with this historic asset when modernizing and upgrading it. Replacing it with an entirely new glass box as currently suggested seems to be a singularly bad idea, especially when thinking about Philly's Reading Market. It drew 6,7 million people in 2016 in spite of being squished underneath the train terminal which is now a convention center. 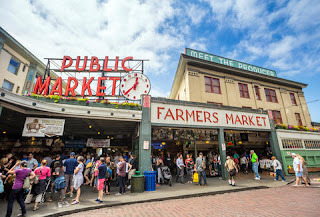 Or of Pikes Place Market in Seattle with its views over Puget Sound. 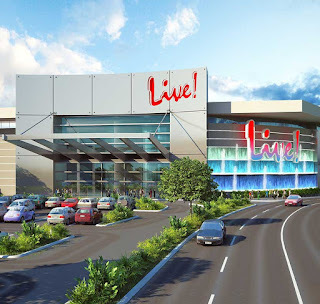 It draws over 10 million visitors, more than Maryland Live casino! Talking about Seattle, even its tired old Space Needle gets a quarter million more visitors than Fort McHenry. 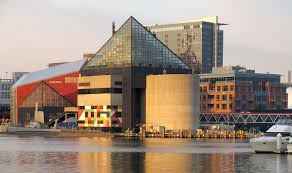 I know, Baltimore's current discussion is on crime, education and equity and it is amlost taboo to talk about attractions, tourists and the Inner Harbor. For sure, I am not suggesting that our primary tasks should get any less money in favor of visitor attractions. But a good city needs to be able "to walk and chew gum", get the basic services for its citizens right and attract at the same time visitors who leave money behind with which to fund those services. Seen in this light, the BBJ list, for all its flaws, can tell us a lot. Below the BBJ list for ranks 1-25. Let's get the Quickbus back! Open heart surgery in Baltimore's downtown?